Tatenhorst, L.; Eckermann, K.; Dambeck, V.; Fonseca-Ornelas, L.; Walle, H.; Lopes da Fonseca, T.; Koch, J.C.; Becker, S.; Tonges, L.; Bahr, M.; Outeiro, T.F. ; Zweckstetter, M.; Lingor, P. (2016). Fasudil attenuates aggregation of a α-synuclein in models of Parkinson’s disease. Acta Neuropathologica Communications, 22, 4-39. Zhou, M.; Zhang, W.; Chang, J.; Wang, J.; Zheng, W.; Yang, Y.; Wen, P.; Xiao, H. (2015). 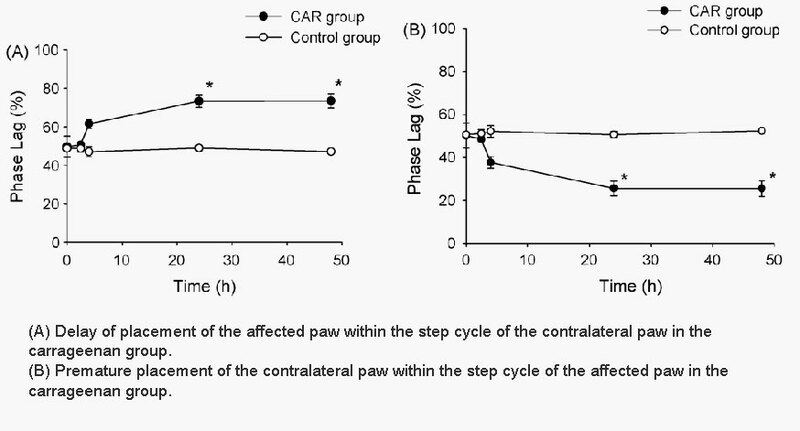 Gait analysis in three different 6-hydroxydopamine rat models of Parkinson’s disease. Neuroscience Letters, 584, 184-189. Saal, K.A. ; Koch, J.C.; Tatenhorst, L.; Szego, E.M.; Toledo Ribas, V.; Michel, U.; Bahr, M.; Tonges, L.; Lingor, P. AAV.shRNA-mediated downregulation of ROCK2 attenuates degerenation of dopaminergic neurons in toxin-induced models of Parkinson’s disease in vitro and in vivo. Neurobiology of Disease, doi:10.1016/j.nbd.2014.09.013. Tsika, E.; Kannan, M.; Shi-Yan Foo, C.; Dikeman, D.; Glauser, L.; Gellhaar, S.; Galter, D.; Knott, G.W. ; Dawson, T.M. ; Dawson, V.L. ; Moore, D.J. (2014). Conditional expresiion of Parkinson’s disease-related R1441C LRRK2 in midbrain dopaminergic neurons in mice causes nuclear abnormalities without neurodegeneration. Neurobiology of Disease, doi:10.1016/j.nbd.2014.08.027. Vrinten, D.H.; Hamers, F.F. (2003). ‘CatWalk’ automated quantitative gait analysis as a novel method to assess mechanical allodynia in the rat; a comparison with von Frey testing. Pain, 102(1-2), 203-209. Bozkurt, A.; Deumens, R.; Scheffel, J.; O’Dey, D.M. ; Weis, J.; Joosten, E.A. ; Fuhrmann, T.; Brook. G.A. ; Pallua, N. (2008). CatWalk gait analysis in assessment of functional recovery after sciatic nerve injury. Journal of Neuroscience Methods, 173(1), 91-98. Klapka, N.; Hermanns, S.; Straten, G.; Masanneck, C.; Duis, S.; Hamers, F.P.T. ; Muller, D.; Zuschratter, W.; Muller, H.W. (2005). Suppression of fibrous scarring in spinal cord injury of rat promotes long-distance regeneration of corticospinal tract axons, rescue of primary motoneurons in somatosensory cortex and significant functional recovery. European Journal of Neuroscience, 22(12), 3047-3058. Koopmans, G.C. ; Brans, M.; Gomez-Pinilla, F.; Duis, S.; Gispen, W.H. ; Torres-Aleman, I.; Joosten, E.A.J. ; Hamers, F.P.T. (2006). 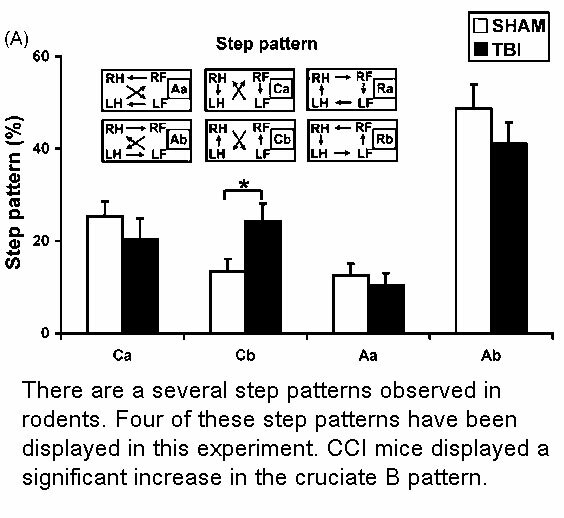 Circulating insulin-like growth factor I and functional recovery from spinal cord injury under enriched housing conditions. European Journal of Neuroscience, 23(4), 1035-1046.